The artist’s green room in London’s Royal Albert Hall doesn’t quite match the scale of grandeur its main arena boasts. But for the talent fortunate enough to pace its floors in anticipation of a pending performance, it is special by association. The room is bright, lit to assist the fine details of makeup and costume preparation. There is a cream-colored, tiled wall with a large clock hanging on it that reads 5:05pm and just beneath that, a simple black couch. Jono Grant and Paavo Siljamäki are seated on either end of it, with an empty space between them. Tony McGuinness plops into the open seat moments later, and together the three members of Above & Beyond lean in towards a laptop screen, greeting us with cheerful smiles and waves. Even through the fuzzy connection of a video call, across an ocean and down the length of a continent, DJ Mag USA can feel the wired energy of that green room from our own seat in Miami. A sense of excitement is palpable, despite the exhaustion Jono admits to as he rests his head on his hand with a grin. In just a few hours, Above & Beyond will make their debut at Royal Albert Hall, the fifth stop on their 11-city Acoustic tour for the release of ‘Acoustic II’ – the highly anticipated follow up to their chart-topping 2014 ‘Acoustic’ album. The trio have just finished sound check and they settle comfortably into their places on the black couch. “There’s such a lovely reverb to the room,” Tony smiles, explaining the acoustic quality of the iconic hall. His signature neckerchief is green today, and it matches his pants. Casual attire before the night’s elegant storm. We ask the group if they’re nervous and receive a round of brief nods in reply. “Nervous,” Tony affirms. 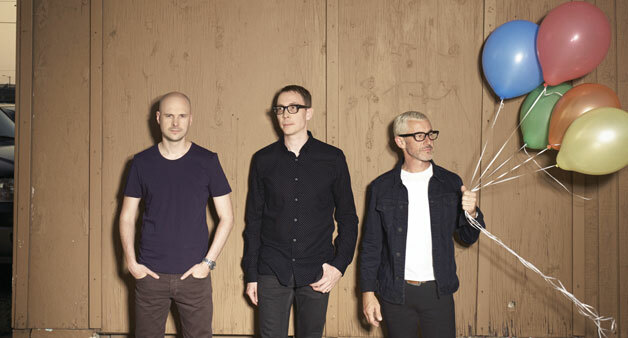 Above & Beyond will take the stage tonight at 8:45pm, accompanied by a 15-piece ensemble, Jono on Rhodes, Tony on guitar and vocals, and Paavo on grand piano. And while Queen Victoria, who opened the Hall, is long gone and Her Majesty Queen Elizabeth is presumably tucked into her Buckingham bed, there is something majestic about the quiet moments before this show. A sense of wonder, for both the artists and the coming crowd. 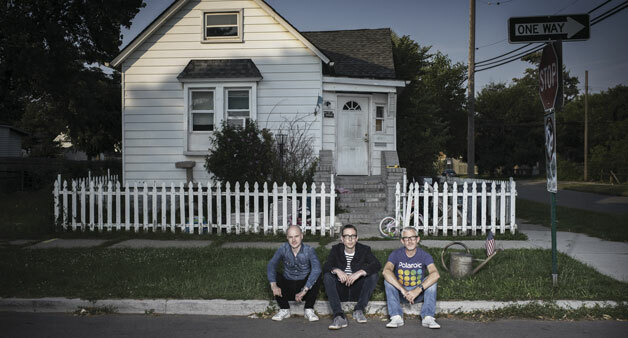 Paavo laughs as he shakes his head incredulously, “It sort of feels like we just snuck through the door because most of the artists we’ve seen here have been playing together as a band for years, with hundreds of shows under their belts. This is just our eighth show as Above & Beyond Acoustic and we’ve packed Royal Albert Hall, so…it feels a bit strange.” Paavo glances at his bandmates for confirmation and everyone smiles. 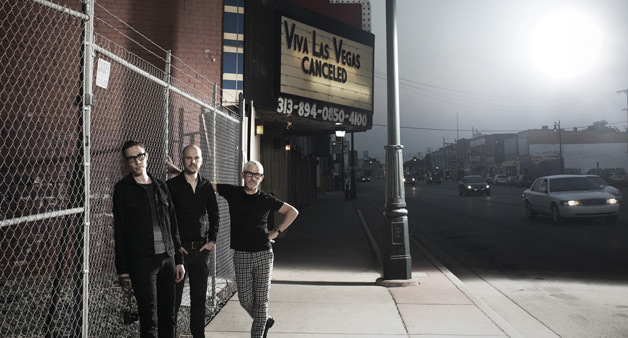 Strange feelings aside, Above & Beyond are no strangers to packing historic houses, like New York City’s Madison Square Garden, the Sydney Opera House and just four nights prior on this tour, Manchester’s Albert Hall. “Manchester was one of the loudest gigs we’ve ever done. The sound guy was fighting to keep the PA over the crowd!” Jono laughs, explaining that the audience sang along so loudly to every single song, some attendees later complained that they couldn’t hear the singers on stage. The Beatles; Pink Floyd; Radiohead; Stevie Wonder – if the walls of Abbey Road Studios could sing, they might spill the greatest secrets in modern music’s history. It’s only fitting that a band with the ability to move people on the level Above & Beyond does, would take their best work to the iconic production house. After all, if your music is good enough to be played at one of England’s most prestigious concert halls, it’s certainly good enough to be mastered at the world’s most famous recording studio. The 13 tracks selected to be rearranged for the ‘Acoustic II’ album showcase a collection of Above & Beyond’s hits, both old and new. From ‘We’re All We Need’ to a stunning rework of their 2004 classic, ‘No One On Earth’ featuring Zoë Johnston, and an old-school ‘Liquid Love’ moment mixed seamlessly into last year’s hit, ‘Counting Down The Days’, the album glitters with greater experimentation and risk-taking than its predecessor LP. ‘Acoustic II’ is cinematic, bold and warm, with swelling strings punctuated by big brass and Taiko drums that are redolent of familiar film scores. There is a movement precisely two minutes into the album’s version of ‘Sticky Fingers’ that sounds as if it was composed for the exact moment 007 pulls his Aston Martin up to MI-6 headquarters at Vauxhall Cross. Strings and brass were recorded at Abbey Road and the parts were taken back to Above & Beyond’s own studio for mixing before being returned to Abbey Road for final mastering. The guys credit the album’s musical director and producer Bob Bradley, Tony’s longtime friend and former bandmate from an era before Above & Beyond, with creating many of the string components. Those components were then arranged by composer Chris Egan, who also worked on the group’s first acoustic album. This idea of being involved since the start is a consistent theme across both the album and its concert counterpart. Beyond just sound and feeling, there are people who have been instrumental in helping the band become what they are today, who are an integral part of the ‘Acoustic II’ process. Vocalists Justine Suissa and Zoë Johnston lend their talents both onstage and on the recordings – “Paavo, Tony and Jono are family to me: it’s easy to write music with honesty, heart and soul when you have that kind of connection with someone,” Zoë says. ‘Well I do, but you don’t,’ she answered. ‘What if I take you for lunch?’ I asked. “And that… was Justine Suissa!” Tony announces with a grin, still pleased all these years later by such a happy twist of fate. “I never got the rug,” he shrugs. But he did forge a lasting friendship with singer-songwriter Justine Suissa, who would go on to form vocal trance group OceanLab with Tony, Jono and Paavo, delivering hits like ‘Clear Blue Water’, ‘Satellite’, and the more recent ‘Another Chance’, which gets its own elegant rework on ‘Acoustic II’. Meanwhile, Jono was working in sound design for Yamaha. Tony’s brother, Liam, purchased one of Jono’s products and thought to connect Jono with Tony, who was working as a successful marketing director for Warner Music Group at the time. Tony and Jono hit it off, and Liam suggested they bring Jono in on remix duties for a track the brothers were working on together. Of course, Jono roped in Paavo. “Tony turned up in this bright yellow Audi with a bright yellow fleece on, you know, coordinated clothes with the car,” Jono chuckles, “and Paavo and I were living in this really scrappy student house that was in a heck of a state, I must say. We brought Tony into our grotty little studio, which at that point was in my room… and Tony began to work with us.” Grotty studio space, be damned. And then, fate winked again. In Tony’s role at Warner Music, he had begun to don an A&R hat on weekends. Always out clubbing with his ear tuned to dance music trends, Tony started signing tracks to the label. “20 years ago this year, my first signing came out; Hysteric Ego’s ‘Want Love’. It was a hit in 16 countries!” Tony holds his hand up for emphasis with a wide smile. Shortly after that, Tony received a fortunate offer from Jonathan Dickens, who now manages Adele and was then the A&R manager for UK trance duo Chakra. Dickens suggested Tony remix Chakra’s hit track, ‘Home’. “It’s my favorite trance record,” Tony declares. He brought Jono and Paavo on board for remix duties and Above & Beyond was born. Drop in on any given Friday for the live-stream of Above & Beyond’s weekly Group Therapy Radio broadcast on YouTube, and you’ll find yourself roped into an enthusiastic family of listeners tuned in from across the globe. A live chat stream scrolls along the right-hand side of the screen, chock full of colorful emojis and text that simultaneously react to the music being played and interact with fellow Group Therapy fans. There are proclamations of awe, words of trance fam wisdom, and virtual hugs to welcome others as they join the fray. @PeterP: ALL ABOARD THE FEELS TRAIN!!! @LaurenF: This makes my heart dance. @JasonV: Been needing this all week! @RyanR: Remember to keep your hearts open, everyone. The buzzing joy and connection that can be experienced in person at an Above & Beyond show, can be read, word for word, heart emoji for heart emoji, in the Group Therapy live-stream chat. It can be heard in the notes of dedication read aloud by either Paavo, Tony or Jono acting as weekly show host; from birthday wishes to the announcements of babies, condolences in the wake of loss to congratulations on small achievements. Group Therapy is a fractal of Above & Beyond’s live performances that allows fans to stay connected not only to the music but to one another. Group Therapy Radio launched in 2012 as the successor to Above & Beyond’s Trance Around the World podcast, and Tony suggests the name change is a brilliant reflection of what the show means to everyone who tunes in. “I think Group Therapy describes exactly what it is, and I think when you have that kind of coherence in terms of what it says on the tin and what it actually is, then it feels authentic,” says Tony. As the trio’s tastes in music broadened, they needed a name for their weekly show that didn’t confine them to a single genre. Case in point, Sasha gives Above & Beyond his records to play on Group Therapy before he gives them to Pete Tong, and one can imagine why: the intensity of that fan reaction is second to none. The clock hanging on the wall behind Jono, Tony and Paavo is ticking past 6:00pm. Just under three hours until they take the stage. There is still dinner to be eaten and naps to be had. We get the sense that Above & Beyond practice what they preach, so before they depart to prepare for the evening, we ask what they’d say if they were reading their own messages aloud on Group Therapy Radio, directed to their listeners. They pause for a moment, collectively, as each artist forms his answer. There is a short video clip on Facebook with over a quarter million views, taken from the mobile phone of someone standing in the audience at Royal Albert Hall on the night of this concert. In it, the domed arena is awash in a deep red glow; the entire crowd on its feet with a sea of arms stretching toward the sky, singing in unison to Above & Beyond’s ‘Sun & Moon’ as a glittering stream of confetti rains down upon them. It’s a sight majestic enough to impress a queen, 145 years after she opened the doors of a concert hall to the world.